Games are made for many reasons. Some exist merely to entertain, others strive to tell a compelling tale and others still try to teach. Gone in November is a game that attempts to do two things at the same time – teach while telling a story. While games that broach difficult topics like death and depression have started to pop up, they are still few and far between. Gone in November tells the story of a dying person, abandoned by friends and shunned by a society that sees him as a hopeless burden. 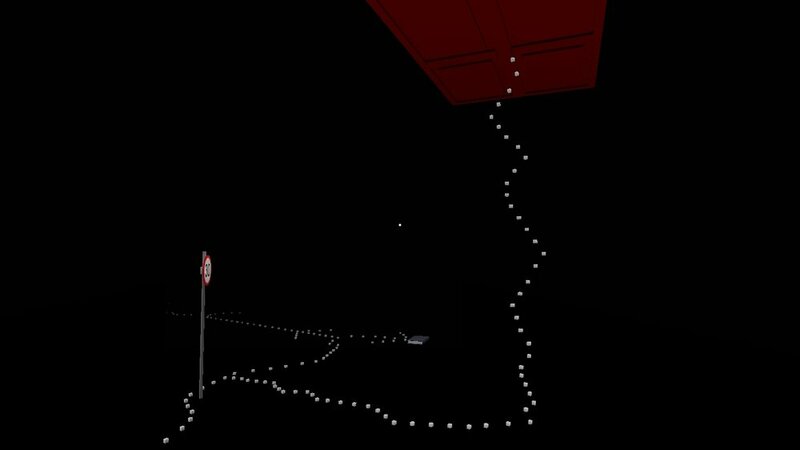 It’s a tiny walking simulator, only slightly longer than the disturbing Static Speaks my Name (similar to it in style, but very different in tone). It might be small, especially compared to games like Depression Quest or That Dragon, Cancer, but it has a lot of heart. First thing I wanted to ask about was how did you come up with the idea of a game about a dying, secluded person contemplating suicide? Back when I was 12 life was really bad. My parents were constantly fighting and threatening to divorce. Add to that I was a shy kid, I didn’t like talking to anyone in school and as a result became isolated from most of my peers. Thankfully, there was this one girl in my class who was similarly shy and we soon became good friends. We seemed to share so much of our personalities and I found comfort in her. Then one afternoon we were trying to cross the street when this truck came out of nowhere and crushed her before my very eyes. Up to this day I can’t find the right words to describe what I felt then. After her funeral I got into a bad bout of depression. Our friendship never flowered into something more, we were only in primary school, but that empty feeling of having lost the only person who could ever complete you still haunts me to this day. 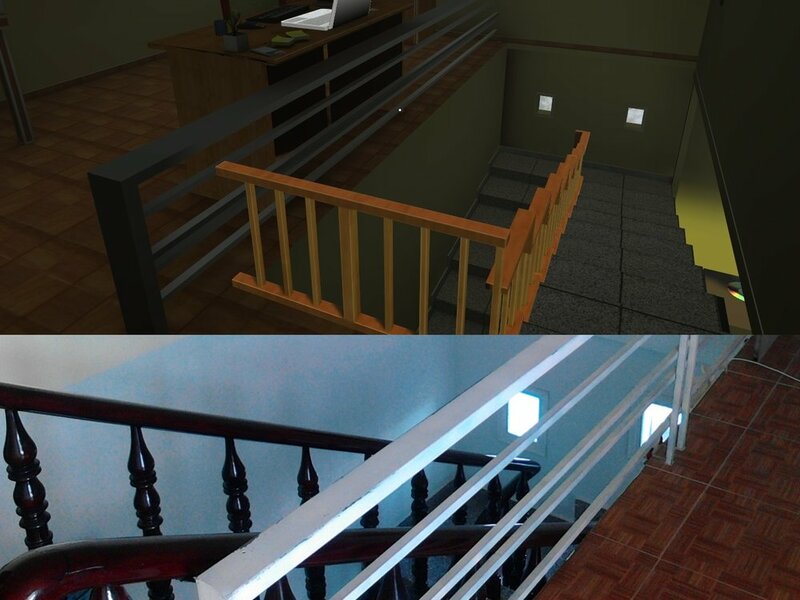 I made this game partly to remind me of her – the in-game house is modeled after the house she used to live in. The dreaming sequences were slightly confusing, would you mind talking about the meaning behind them? I don’t have an explanation for parts of the game, I’d say about 20% is left for the players to decide the meaning of. Although I can reveal that white areas symbolize his thoughts and actions concerning his lost love, while the black ones symbolize his interactions with the rest of society. In the second dream sequence fragments of their past arguments flash into view - he lies to her about being afflicted with HIV, hoping that this would make her leave him, but this misfires, as she thinks he had cheated on her. The main point of the game, however, is to show what it’s like to live with this dangerous disease in the hardest of times, the story is less important than conveying that feeling. Were you contemplating different video game genres to create in and which other games would you say were an influence on your artistic choices? As someone who grew up during the mid-90s, when Doom was very popular, I’d say that making Gone in November as an FPS with the guns stripped off and a story slapped on top came very naturally to me. I believe you can get a lot more immersed in a game if you see the world from the eyes of your character. I considered making it a visual novel or an interactive fiction game at the start, but quickly settled on developing it as it is now. Silent Hill 2 was also a big aesthetic inspiration for this GiN. 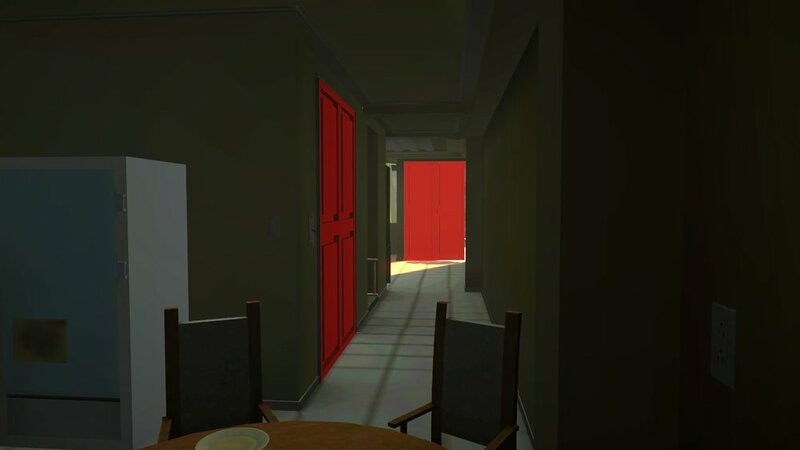 While being a psychological horror game it managed to tell a deep and tragic story and I found that to be very moving. Would you say that games are safe environments in which we can learn about things like depression and suicide? Definitely. While the primary driving force of the gaming industry is making entertainment, since it sells the most, a growing part of the community is always excited to try different and more innovative games. I believe these kinds of games can raise awareness about issues like depression and make people more sympathetic to those who suffer from it. A few YouTubers who made playthroughs of Gone in November included suicide hotlines and links to prevention websites in their videos which I think was very considerate of them. Depression is something that really needs more widespread recognition as millions around the world are silently fighting it every day of their lives. I could write a book or make a song about this issue, but I think video games are the perfect medium to express my thoughts on it, as there are so many layers a player can be engaged on. I think walking simulators are pretty simple in terms of what the player can do, so you have to be very creative with everything else - especially the story and the game environment. You did mention English isn’t your native tongue, what made you decide to make such a personal game in this language? The primary reason was to make the game accessible to more people. When I first tried to raise awareness for the game I thought of distributing it to a few popular YouTubers, but since the game relies heavily on text and they were all English-speakers, I decided to translate it. I found the challenge of translating it very fun and educational. Thanks for talking to me, last question – do you have any other projects we could look forward to? I do! I see Gone in November as a sort of stepping stone and am now developing an indirect sequel to it, a game much larger in scope. I have learnt a lot from the way people have reacted to Gone in November and am eager to apply what I learnt to this new project. Those who have purchased the DLC of Gone in November can find a small message in one of the files, which, once decrypted, will reveal a few things about my next game. Incoming Changes for Titanfall 2 "Tech Test"